In the U.S., one in eight women will be diagnosed with breast cancer in their lifetime; for men, the risk is one in 1,000. Breast cancers drugs in focus. In the fight to end breast cancer, several new drugs are expected to become available soon. Bloomberg Intelligence predicts drug sales to treat the disease could rise to $23 billion by 2021, a 50% gain, because major companies including Eli Lilly & Co. (LLY - Get Report) , Novartis AG (NVS - Get Report) and Pfizer Inc. (PFE - Get Report) are testing new treatments. The latest addition to the spread of treatments is Puma Biotechnology Inc.'s (PBYI - Get Report) Nerlynx, which is expected to become commercially available in September. The federal Food and Drug Administration approved its use on Monday, July 17. Nerlynx is a once-daily oral inhibitor of an enzyme called tyrosine kinase that can mutate to create the conditions for unregulated cell growth, a needed step for cancer to thrive. Following other therapies, it is for the extended treatment of adult patients with early-stage HER2-positive breast cancer, a type of the disease in which cancer cells tend to grow larger and faster and are more likely to regrow. In the most recent study, 94.2% of patients taking Nerlynx were disease-free after two years compared to 91.9% of those who received a placebo, a 34% reduction in the cancer's appearance and death as a result of the disease. "Despite advances in the treatment of early-stage HER2-positive breast cancer, there remains a need for further therapeutic improvements to attempt to further reduce the risk of disease recurrence," Puma CEO and President Alan H. Auerbach said in a statement. "We are pleased to bring this new medicine to patients with breast cancer." Novartis' Kisqali, which won FDA approval in March. Bloomberg Intelligence expects Eli Lilly's Abermaciclib to make it to market this year also, and that all three drugs will have more than $1.1 billion in sales per year by 2021. Pfizer's Ibrance and the new drugs from Eli Lilly and Novartis are expected to account for 35% of sales in 2021. Doctors will diagnose about one in eight, or 12% of, U.S. women with invasive breast cancer in their lifetime, according to the American Cancer Society. An estimated 40,610 women will die from the disease this year, a number that has decreased since 1989, especially among the younger generations. Men also contract breast cancer, but at a much lower rate than women—one in 1,000. About 2,470 new cases of invasive breast cancer are expected to be diagnosed in U.S. men this year. Both statistics are from the ACS. In the 1990s, breast cancer was treated with hormonal therapies, most of which were from AstraZeneca PLC (AZN - Get Report) . Since then, many new drugs, such as the following five most-sold breast-cancer medications, have increased survival rates. 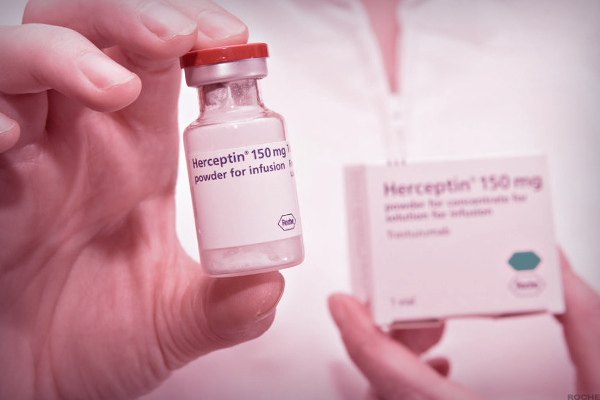 Herceptin from Roche Holding AG (ROG - Get Report) , which accounted for 66% of breast-cancer-treatment sales, was among the first non-hormonal medicines in 1998 to treat breast cancer, according to Bloomberg. It is specifically for HER2-positive cancers, which account for 20% of breast-cancer patients. In preclinical trials, Herceptin's antibodies binded to receptors on a protein called the human epidermal growth factor receptor two, or HER2, to prevent them from signaling cells to grow. In 2016, Herceptin's revenue was $6.4 billion. Bloomberg Intelligence expects that to grow to $6.5 billion in 2017 but then fall to $4.5 billion by 2021 as other drugs enter the market. For the 65% to 75% of cancers responsive to hormone therapy, Ibrance may help. 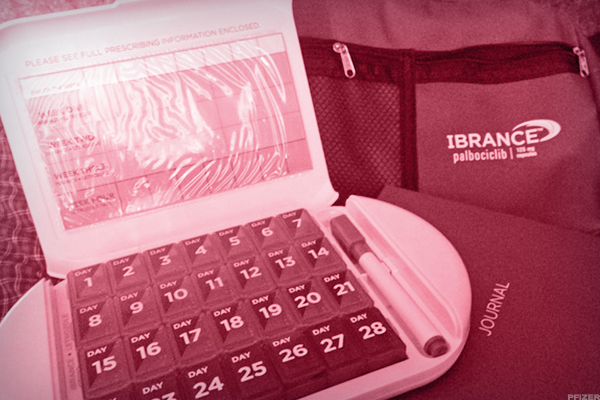 When combined with hormonal therapies, Ibrance doubled progression-free survival to 20.2 months, according to Bloomberg. Ibrance is for hormone receptor positive, HER2-metastatic breast cancers, which means the disease has metastasized beyond the breast. In this type of cancer, estrogen and hormone receptors can cause an overactive signaling of proteins in the cell's central nucleus to duplicate uncontrollably. Although hormonal therapies work to stop the signaling of the hormones and hormone receptors outside the cell, Ibrance attempts to inhibit the proteins in the nucleus blocking cell reproduction. In 2016, Ibrance brought in $2.1 billion in sales. Bloomberg data predicts that number will grow to nearly $3.1 billion in 2017 and $5.8 million by 2021. 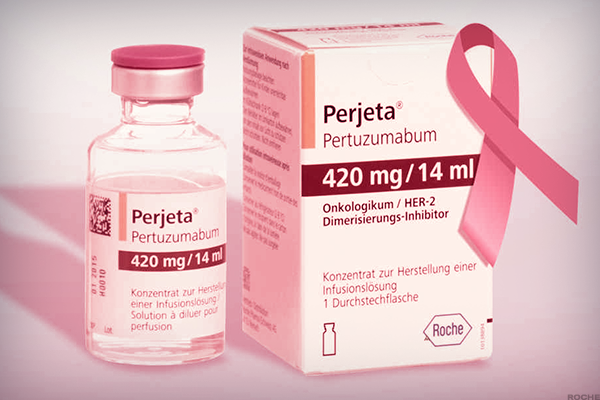 Roche's Perjeta is for HER2-positive, metastatic breast-cancer patients taking Herceptin and docetaxel, a chemotherapy medication. Although Herceptin can block some HER2 signals, Perjeta may be appeal to create a stronger blockade. HER2 can pair with HER receptors to send more signals, but Perjeta is believed to block a certain type of signal so that HER2 cannot pair with the receptors. Patients taking the Perjeta combination saw their tumors shrink 80% of the time compared to 69% of patients taking only Herceptin and docetaxel, according to a brochure on the medication's website. This effect lasted 62% longer in patients taking the Perjeta combination, as well, the company claims. Although Roche's Herceptin sales are expected to decline in the future, Bloomberg Intelligence predicts Perjeta will more than offset the decrease. The medication brought in nearly $1.9 billion in 2016 and is expected to make more than $2.3 billion in sales in 2017 and almost $5.2 billion in 2021. The FDA-approved Roche's Avastin in 2008 for the treatment of breast cancer, but in 2011, the federal agency revoked its approval, saying it showed to be unsafe and ineffective for treating breast cancer, according to Breastcancer.org. The drug, however, remains on the market for the treatment of other cancers, and doctors still may choose to prescribe it to breast cancer patients. 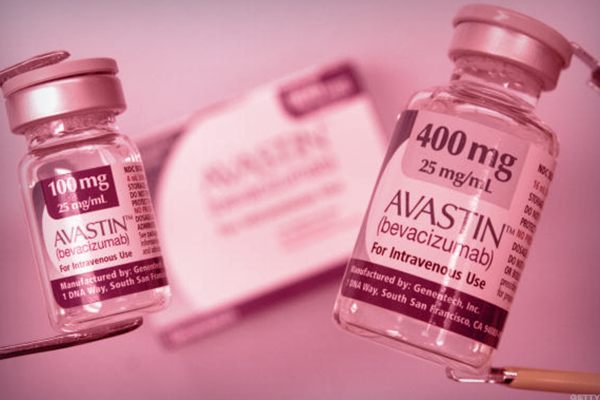 Avastin originally was approved to treat patients with metastatic HER2-negative breast cancer who haven't received chemotherapy. The drug was designed to block a protein called vascular endothelial growth factor, or VEGF. Some cancerous cells make too much of the protein, and by blocking it, the drug could prevent the growth of new blood cells that feed tumors. The medicine, however, may also block new normal blood vessels. In 2016, Avastin brought in more than $1 million in sales. It is expected to make slightly more in 2017, but fall to $783 million in 2021, according to Bloomberg Intelligence. 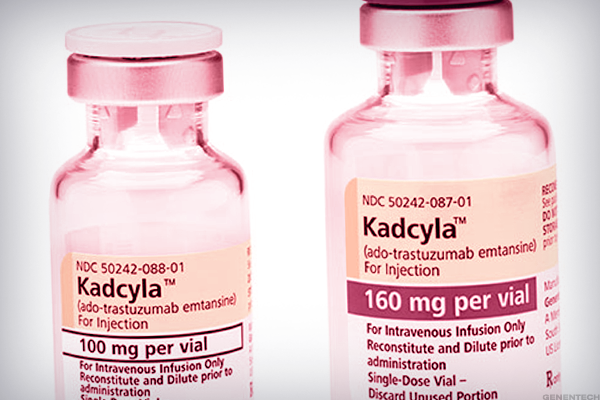 Roche's Kadcyla is for patients with HER-2 metastatic breast cancer. The medicine combines the antibodies used in Herceptin with a chemotherapy drug to travel inside the cancerous cells and kill them, though it may affect normal cells, as well. Women taking the drug lived an average of six months longer than those taking a combination of Tykerb and Xeloda, two other treatments, according to the medication's website. They also lived longer without the cancer growing and spreading—9.6 months compared to 6.4 months. In 2016, Kadcyla's revenue was $844 million. Bloomberg Intelligence expects that amount to increase to $933 million in 2017 and more than $1.1 billion in 2021.